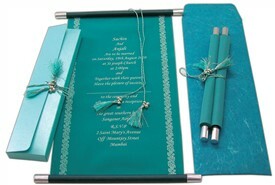 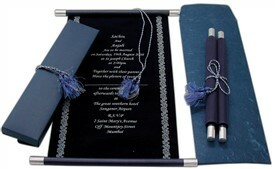 S109, Blue Color, Scroll Invitations, Jewish Invitations, Fabric Scrolls. 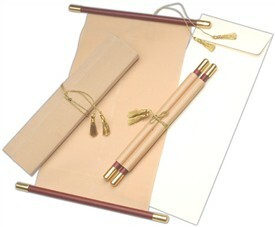 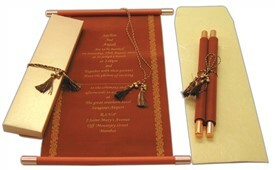 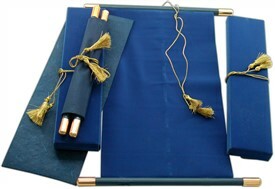 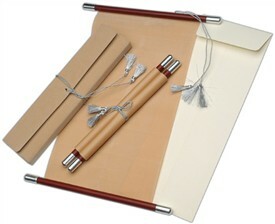 The plain scroll has silver bars for support and a silver zari tassel for tying. 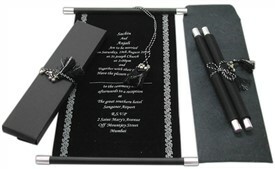 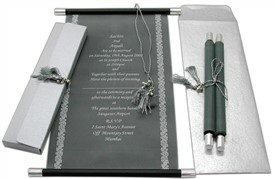 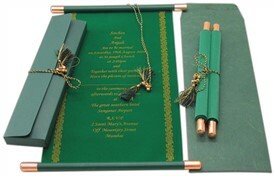 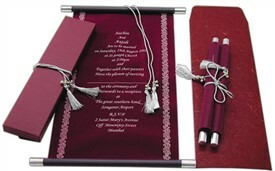 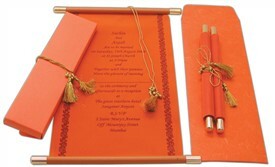 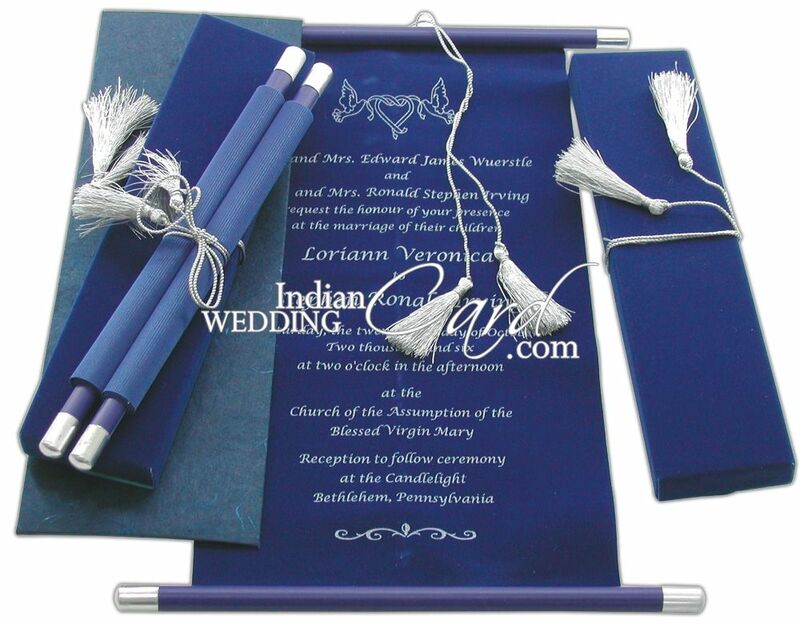 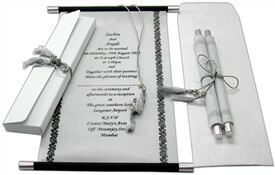 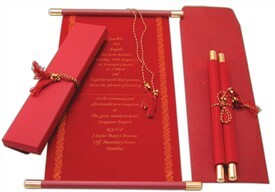 The box envelope has silver zari tassel for the same purpose.